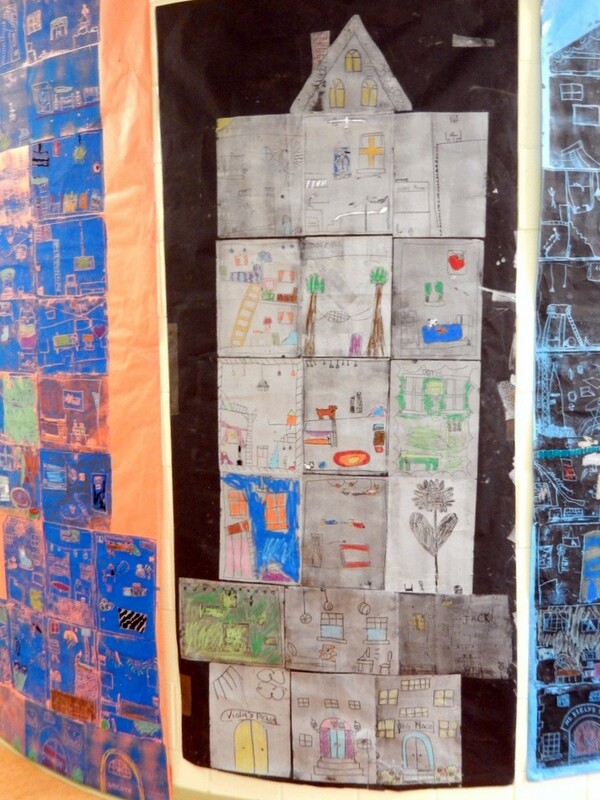 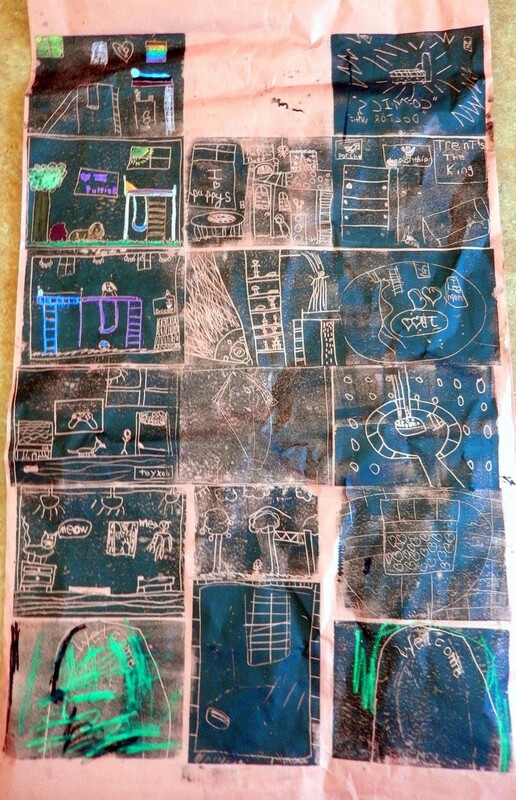 Fourth graders designed and etched their own ‘dream’ bedroom into printing foam. 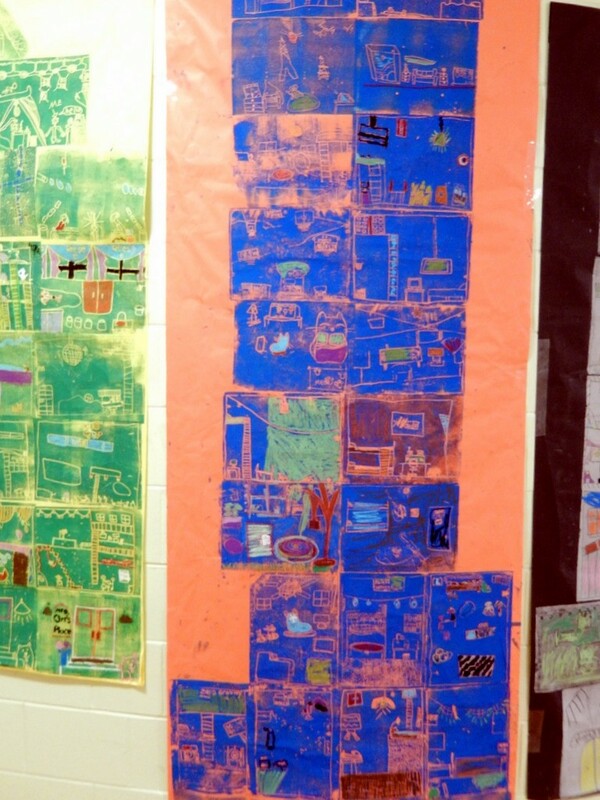 They were challenged with making their room unique, and, if they wanted to write anything, they had to write it completely backwards so it would print correctly. 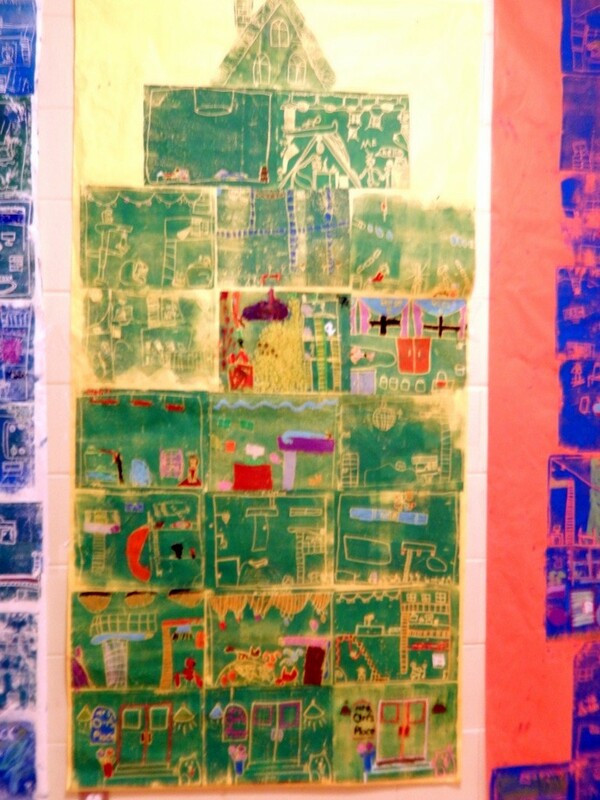 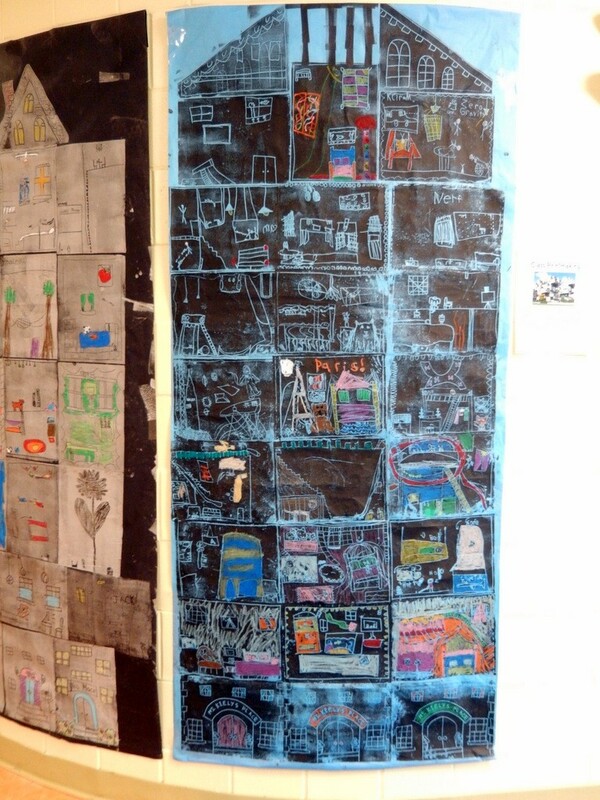 After everyone’s room was printed together, students went back in and added color with oil pastel. 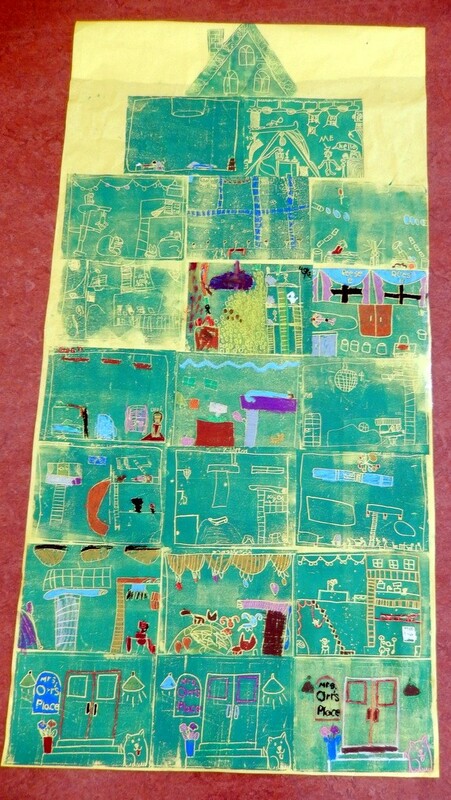 This was a challenging project that required a lot of team work, communication, and attention to detail!